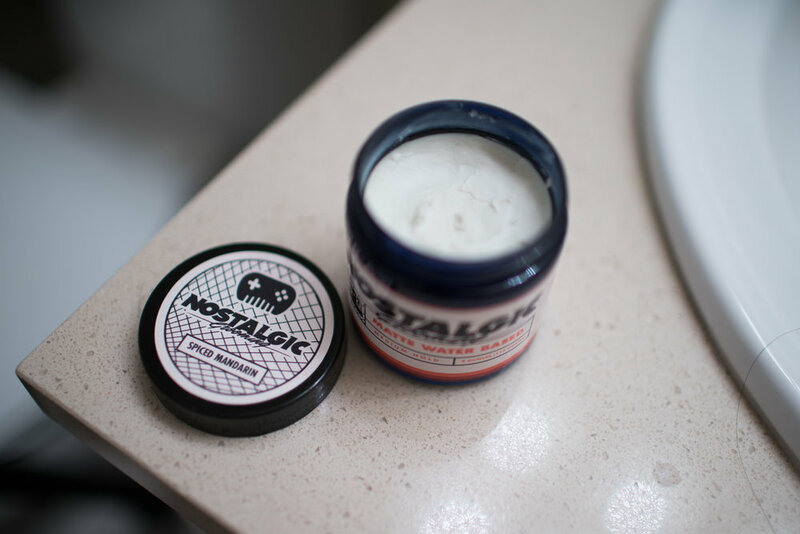 Before Christmas, Nostalgic Grooming got in touch with me about their recent release: Matte Water Based. Of all the different pomades we've tried, brewers have aimed to always create the strongest, the slickest, or the most resilient pomade. The difficulty of creating something that lines exactly between is understated. The design work, while consistent with the rest of the line, is bland. Color and a single icon on the left of the name is the only thing that distinguishes each product from one another. It a standard four ounce jar made of blue plastic and black lid. If I had not read the official name of the scent, I would have just describe it as a cologne. It's definitely one of my favorite scents from Nostalgic Grooming. I don't pick up any form of citrus nor do I smell any spice. But, there is a glimmer of belief that this beautiful aroma can be the combination of both. Scooping out of the jar, the pomade is actually pretty tough. It feels dense. Once you got it out of the jar, the product is easy to smear and work into a cream. 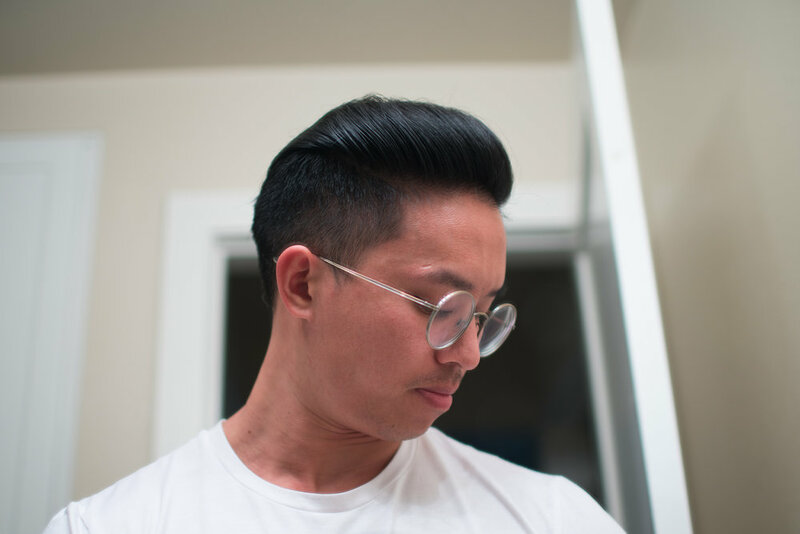 Unlike clay and paste counterparts, it's super smooth to apply into your hair -- not much of a challenge to get the pomade underneath your pomp. Neutral. I would have expected this to be more matte. While I prefer a neutral finish, those of you who prefer a matte finish need to be aware that it's a neutral finish. Just enough slickness to keep things together but not enough to make it feel too greasy or sticky. It is unquestionably a medium and matched with a medium weight. 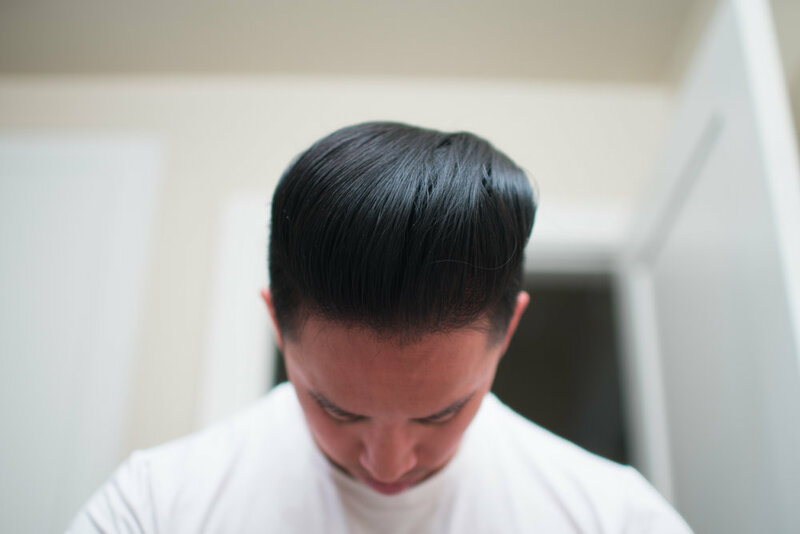 It is so damn easy to use this pomade. You almost don't even need to think about it. Just throw it in your hair and your hair will magically turn into a pomp. 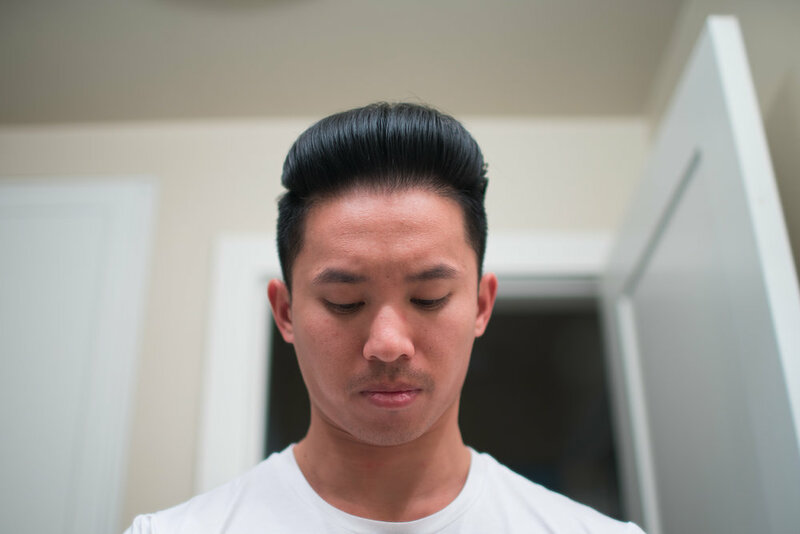 Your pomp will remain tall and proud for a few hours, but the volume will gradually degrade. The slickness remains and the neutral finish also stays the same. 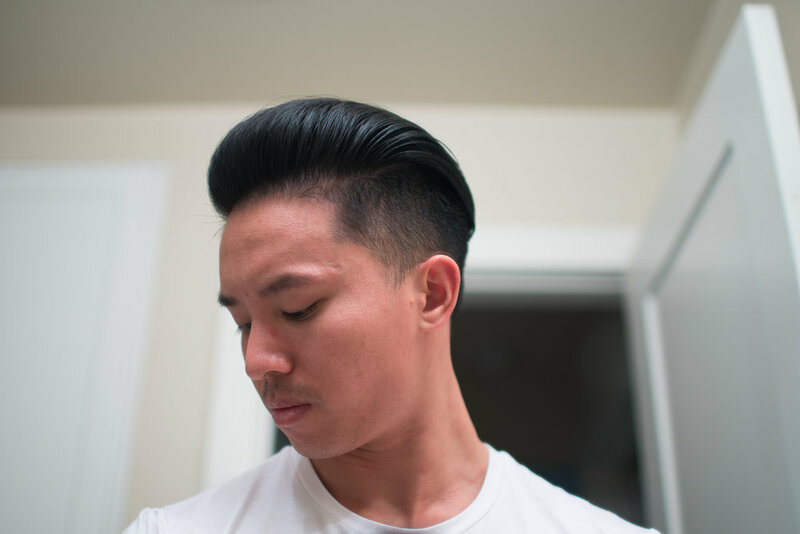 It's only the strength of the pomade that slowly goes away as you would expect with a medium hold pomade. Just add shampoo and water. In many pomades (and almost everything in society now), we see all things headed to the ends of the spectrum. Nothing in moderation. Nothing in balance. 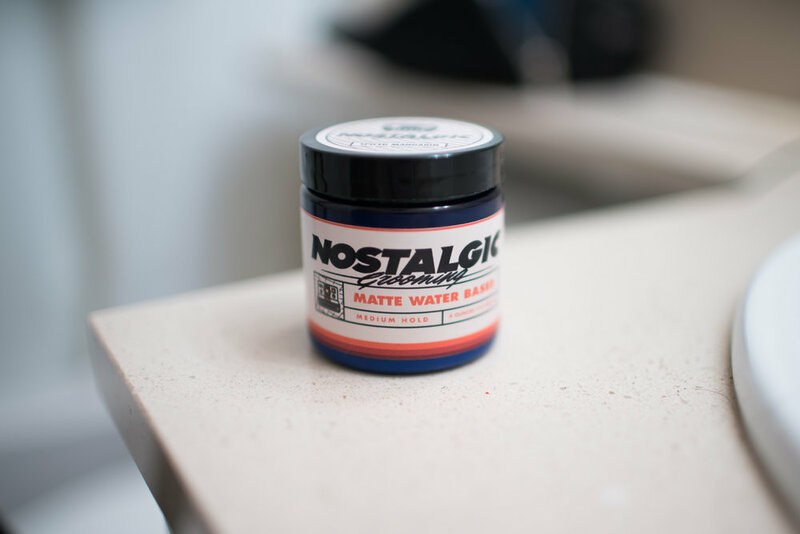 Nostalgic Grooming Matte Water Based Pomade is the first product we've seen in a long time that seeks to be medium in all things: strength, finish, slickness, everything. It is beautiful. So, it receives my seal of approval. If you're interested, feel free to use our promo code THEPOMP to save some money when ordering directly from Nostalgic Grooming.